25 April 2012, Singapore – This September, relive the greatest hits of the ‘80s at the 2012 FORMULA 1 SINGTEL SINGAPORE GRAND PRIX with three of the era’s celebrated performers. To complement the stellar in-circuit entertainment line-up at the only Formula One night race, Bananarama, Pretenders and The Proclaimers will join Katy Perry, Maroon 5 and Jay Chou at the Marina Bay Street Circuit. BANANARAMA has clocked a cool 30 million in record sales throughout a 33-year illustrious career, and has even surpassed The Supremes to be listed in the Guinness World Records as the female group with the most chart entries. Formed in 1979, United Kingdom’s singing-songwriting duo Sara Dallin and Keren Woodward’s hits include ‘Robert De Niro’s Waiting’, ‘Venus’, ‘Cruel Summer’, ‘I Heard a Rumour’ as well as ‘Love in the First Degree’. Bananarama will perform at the Esplanade Outdoor Theatre in Zone 4 on Saturday, and the Village stage in Zone 1 on Sunday*. Get ready for singer-songwriter Chrissie Hynde’s signature vocals as the PRETENDERS perform their hits like ‘I’ll Stand By You’, ‘Brass In Pocket’, ‘Don’t Get Me Wrong’, ‘I’m Not In Love’, ‘Stop Your Sobbing’ and more. 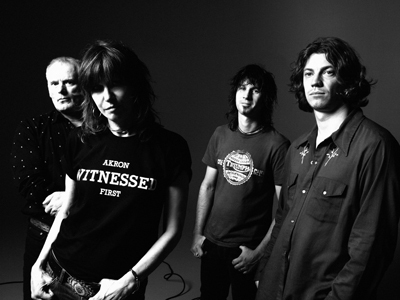 Their mix of punk, new wave, rock and pop hits have consistently placed them on the Billboard charts and in March 2005, the Pretenders were inducted into the Rock and Roll Hall of Fame. Formed in 1978, their self-titled debut album was named one of the best albums of all time by VH1 and Rolling Stone. Catch the Pretenders at the Village stage in Zone 1 on Saturday, and the Esplanade Outdoor Theatre in Zone 4 on Sunday*. 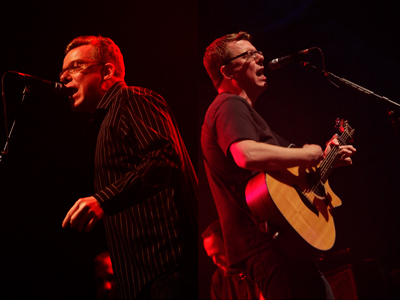 Scottish twins Charlie and Craig Reid of THE PROCLAIMERS, who have a new album Like Comedy out this May, will be performing at Zone 1’s Village Stage on Friday and Zone 4’s Esplanade Outdoor Theatre on Saturday and Sunday*. With their unique blend of pop, folk, new wave and punk music, fans can expect classics like ‘I’m On My Way’, ‘Letter from America’ and ‘Life With You’. Formed in 1983, the duo’s songs have been featured on the hit movie Shrek as well as popular American television series Family Guy and How I Met Your Mother. Their biggest hit ‘I’m Gonna Be (500 Miles)’ has become an unofficial Scottish anthem and has even inspired an Internet viral sensation. 2012 also sees the filming of the movie version of the successful award-winning musical drama Sunshine on Leith, which features their songs. “At our previous events, ‘80s artistes were phenomenal crowd favourites. Our in-circuit concerts by Boy George, Chaka Khan, Shaggy and Rick Astley had everyone singing along to their hits, adding to the already festive vibe at the Marina Bay Street Circuit. The ‘80s is an era with some of the greatest hits that inspired countless musicals and cover interpretations, and since it appeals to a large portion of our audience demographic, Bananarama, the Pretenders and The Proclaimers are the perfect complement to this year’s entertainment programme,” says Michael Roche, Executive Director of race promoter Singapore GP Pte Ltd.
To win a pair of exclusive Meet & Greet passes for Jay Chou, Katy Perry or Maroon 5, fans just need to purchase any pair of 2012 FORMULA 1 SINGTEL SINGAPORE GRAND PRIX tickets during the early-bird phase (valid until 30 April). There are six pairs of passes to be given away for each artiste’s Meet & Greet session. To participate in the lucky draw, early-bird ticketholders need to register their ticket transaction number on the Meet & Greet contest page on www.singaporegp.sg by 30 April 2012 (11.59pm, Singapore time).